Would You like Me to Personally Help You Launch A Multi-Million Naira Business in 2019,for FREE? Then, this may be the most important letter you’ll ever read. The reason is because I'm looking for a 'dream' client who I'm going to help launch a brand new multi-million naira business, fast, and I’m going to do it for FREE. If you're that person, I’m going to work with you, one-on-one to help you design,build and launch your own multi-million naira business and I’ll do it for FREE. The first thing I’m going to do for you is to help you create a strategic ‘Multi-Millon naira blueprint' specifically for you​. You’ll NOT pay me anything for this, and it’ll take me between 45 to 90 minutes. Again, I’ll do everything at zero cost. It doesn’t matter what your current situation is, I can definitely help you launch a highly profitable multi-million naira business, you get to work from anywhere you like and most importantly, make a HUGE difference in the world. I'm not a 'talker' like most people, I'm a doer. Take my client (and now friend) Adeola Ogunyemi for example. I met her in August of 2017.She’s working in a very reputable company that pays her 6figures per month but due to her monthly family ‘expenses’, the money isn’t enough to meet her needs. She told me that she goes very broke before the 10th of each month. Can you imagine working and getting broke around 10th of each month? So, naturally, she needed help very fast. She needed a ‘side hustle’ that will run side-by-side her current job. After successfully going through our rigorous screening process, we started working with her. I took a look at her passion, talent, skills and expertise and we were able to turn it into a highly profitable business. I helped her uncover a new (& thriving) business opportunity she didn’t know she had inside of her, we did the premium pricing and preeminent strategies so that people can happily pay her high fees,we created an irresistible offer so that people will beg to buy her stuff, we created the marketing so that she could get more customer consistently instead of begging customers, I did every single thing for her. Fast forward today, she has a 6figures per month business. The last time we spoke, she told me she makes an average of N160, 000 monthly. That is extra N1,920,000/year. That is just an 'average'. That is not bad because she is still working at her job, this is just a part time business. So, her employer pays her, her business also pays her. So, the dream of multiple stream of income actualized. She even told me that the rate the business is going, she might need to employ two staff in few weeks because she's likely going to hit 7million by the end of 2019. The flexibility to control your own hours. The confidence to share your passion with the world. And the freedom to choose how you want to live your life — now and tomorrow. I can help you make that happen but more on that later. Now, Adeola is on her way to 7million naira by December of 2019. Let's me share another favorite story with you. It would not have been possible if she hadn’t taken the BOLD step to make more money to support her family. From House wife to a thriving (& highly profitable) business owner. Truth is,the life you want, the family you want, the relationship you want is going to be fueled by the business you build. That is the exact story of my friend and client, Priscilla Obiye Canice-Obi, who is a ‘stay at home’ mum. She wanted to start a business that will be highly profitable but also give her the time to take care of her family, and most importantly, impact lives. She didn’t know what business to start. She had no idea.She was in a state of ‘confusion’ and ofcourse, she was broke. Have you ever been in a 'ground zero' before? The point where you need money badly to fix somethings and also support your family and people around you? That was the exact position she was when we met. Anyway, she reached out to me for her. I helped her uncover a multi-million naira business idea that she didn’t know was inside her. She had a story that the world needed to hear. She had a POWERFUL message to share. She had a great skill, i helped her turn it into a high profitable business. We created the marketing strategies, the premium pricing and everything else and today. Today she is a successful business owner. You see, most times, people are broke, NOT because their business idea is bad BUT because they don't have good marketing strategies but Priscilla was lucky to have me and she always say that working with me was the greatest thing that happened to her life. Fast forward to today, she has a very profitable and ‘hyper successful’ business. Infact, she is so busy right now that the last time I gave her my personal project, she couldn’t cope because of the consistent inflow of customers. 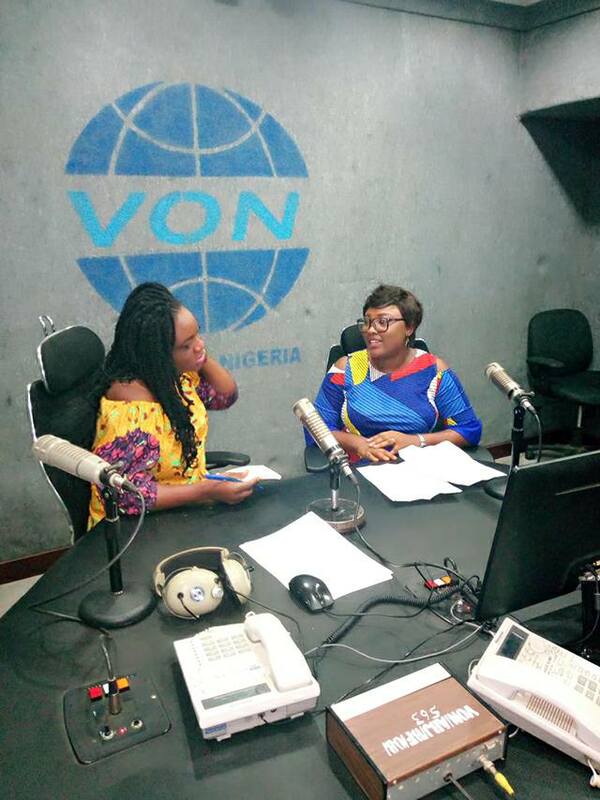 She is so successful that she's not only invited to speak at conferences, even top Radio stations like Voice of Nigeria (VON), Radio Nigeria and many others invite her to grant them interviews. 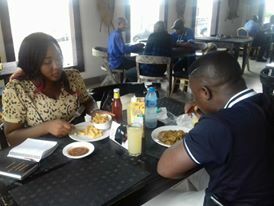 In march of 2018, I was to go to Enugu for something very important, she decided to ‘ambush’ me at the airpot and took me straight to a superb ‘top-class’ restaurant as a way of saying ‘thank you’ to me. Check the photo below. No matter what your goals are, I can help you get there,fast! Quit your job or start a side hustle, work for yourself so you can spend more time with your family and loved ones,have multiple stream of income or make more money, sack your boss, you want freedom from financial worries or you want to make a BIG difference in the world. No matter what those goals are, I can help you get there, very quickly. 87% of people who seek to own successful businesses fail. I’ll work with you, one-on-one to help you launch a thriving, multi-million naira business while also making a huge impact in the world, and 100% FREE. And like I said, the first thing I’m going to do for you is to help you create a strategic ‘Multi-Millon naira map’, this won’t cost you any money and it will take between 45 and 90minutes, and it is 100% FREE. We will do this together either on the phone, the internet or we might even meet in person. I will do all the heavy lifting for you-we will create a multi-million naira growth map for your new business, I’ll show you what to sell, how to sell it without looking stupid before the buyers, what price to sell it, who your best customers are and the ones that can pay you high fees, the best marketing strategies to use to attract your customers, etc. I’ll do every single thing for you. 1: You love the blueprint or map that i will design for you and decide to implement it on your own. If that is the case, I’ll wish you the best of luck and ask you to keep me posted on your progress. 2: You love the plan and you will ask to become a client. If that is the case, we’ll take you through our process and if you’re successful, we will immediately admit you to become a VIP client. You see, every one of our VIP client get amazing result. I mean every single one of them. My client, Blessing Osakwe Idowu was going through a tough time at her place of work. Although she works in a great company but she had a 'nasty' boss and uncooperative subordinate who made life tough for her. She works in one of the best (& known) companies in Lagos, salary was very, very attractive but the job satisfaction wasn’t there. Everyday, she goes to work angry and return home angry even though she gets ‘good salary’. ‘It’s not about the salary,Johnson,I’m not happy’ was what she told me one day. So, she wanted help badly. First, both of us got on the phone and we spoke for 54minutes. I helped plan her ‘exit’ from the job. She was so excited because of the plan we came up with that she wanted to become my client immediately. Anyway, after taking her through our process, we eventually admitted her to our program and we helped her turn her skill into a 7figures business, i mean, multi-million naira business. I helped her do all the heavy lifting like what to sell, how much to sell, who to sell to, and everything else. Let's be honest, if you have a brilliant business idea and you dont have customers coming to buy from you, you're not different from a king without a domain, a king without subjects, a king without a kingdom. Blessing took action, she didnt sit down 'complaining', she took action. She saw an opportunity, she immediately grabbed it with both arms. Fast forward today, she runs a solid multi-million naira business and has left her job. She is so grateful today, not because she is making a lot more money now but because she is also able to touch peoples’ lives. If you give me 15 minutes, I will help you bring out a multi-million naira business idea inside of you. Yes, it is already inside your head and I'll help you turn that idea into a multi-million naira business while also making a HUGE difference in the world. First, we’ll get on the phone (or Skype) and we will do the planning together. I’ll take a look at where you are currently and help you plan what you want to achieve. There are a number of ways I might do this. For example, I might help you uncover a multi-million business idea inside of you that you didn’t know, I might show you how to turn your ideas, story, passion, life experiences,expertise or skill into a multi-million naira business, I might show you how to get customers who will pay you high fees, I might show you how to build a simple marketing system that will consistently attract customers to you so you dont go begging people to do business with you, instead, they'll beg to become customers. I might show you how to structure the perfect pricing because if your prices are too high, they'll say you are too expensive, and they wont buy but if it is too cheap, they'll say you are too cheap and wont do business with you. The point is, no matter your current situation, i can help you launch a multi-million naira business,fast! And like I said, there’s no charge for this, it is completely 100% FREE. First and foremost, this is the kind of thing I love doing. Nothing makes me happy like helping people build multi-million naira businesses. Secondly, this is how I attract top-level-clients to my business. ​So, assuming you’re happy with the multi-million naira map i will design for you,you might want to work long term with me to help you launch your own thriving business. I must warn you ahead,my fees are NOT cheap (upwards of 6figures) but my results are life-changing. If you are looking for a 'cheap' guy, I'm NOT cheap. I'm expensive for a reason but very affordable for the right kind of person. Royce Rolls is what it is for a reason. If you're lucky and I agree to take you on as a client, you can be assured that you’ll have a very successful business,fast. No body from my office is going to pressure you to become a client. It is a taboo to us. We don't pressure people to become client, never! I believe the exact opposite will happen, you'll be the one chasing us to become a client. Infact, I believe that you’ll be the one begging to become a client because you’ll see the value in our 45 to 90 minutes conversation. You’ll find our conversation to be incredible valuable or I’ll compensate you with $50 for your time. Your time is the most important thing you have and I respect that. I’m so certain that you’ll enjoy our conversation together and if for any (strange) reason you don’t, I’ll compensate you with $50. 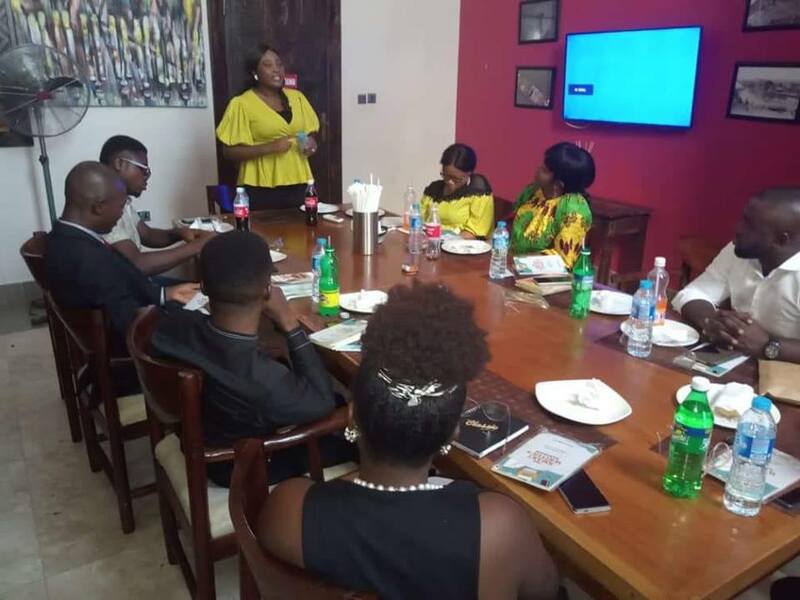 I’m also guaranteeing that you’ll find this 'multi-million naira' business blueprint extremely valuable or I’ll immediately compensate you with $50 for your time. Just tell me and it’s yours, no question asked. The last time I checked, nobody is (or can) do this sort of thing but I can do it because my clients always get amazing results. Afterall, I’m Johnson Emmanuel-one of the most highly sought-after business growth & marketing strategists. I build great companies. Just recently, over 21,000 people bought my new book to learn how to launch their own mega businesses. I have shared the stage with billion entrepreneurs Richard Nyong (Lekki Garden CEO), Akinwande Ademosun, Femi Osibona amongst others. See, my stuff work, and if we work together, you’ll be able to launch a thriving, highly profitable multi-million naira business, and also impact lives too. My client (and now friend) Tomiwa Ogunremi is one amazing guy. He had a 'small' business already but wanted ‘more’. He knew that he could launch a better and bigger business. He was hungry for success. It was at this point that he came to me for help. Fast forward today, Tomiwa has not only built a 7figures business, he is also a brand Ambassador, and a highly sought-after speaker. Again, I know that if we work together, I’m certain that I’ll be able to transform your life. As you can imagine, a lot of people will be reading this but this opportunity is NOT for everybody. You must have the right mindset, and must NOT be one of those people who believe in 'over night riches'. I don't believe in 'get rich quick', and I don't work with anyone who believe in it. You must be ALREADY working in a company,gainfully employed, a 9-5 job but want to start your own business or you must be a successful entrepreneur who is already doing well in business but want to have another stream of income. You must be ABLE, WILLING & READY to get ahead immediately. By that i mean, you should have the resources to invest into my program immediately if invited to become a VIP client. No sitting on the fence,no foot dragging, no procrastination or delays,immediate action takers. You must be able to take direction and follow simple instructions. I mean, you must be coachable. If you meet the above requirement and want me to personally help you launch your own business, I’m very excited to speak with you, I’ve set out some time to help you today. 2: I’m also going to ask you for a ‘real person’ refundable deposit of N5,000. See, I don’t care about the N5,000. I’ll send it back to you immediately after our meeting. I’ll send back the N5,000 to you immediately after our meeting (unless I take you as a client, and in that case-I’ll apply it to your balance). So, if I take you as a client, I’ll apply the N5,000 to your balance, IF (and only IF) I don’t invite you yo become a client, I’ll transfer the N5,000 back to you. Eitherway, you’ll get back the N5,000 refundable deposit. I’m just using it to keep unserious people at bay. She’s my ‘right hand’ woman, one of my best and trusted workers who is amazing at what she does. So, she will schedule our call. Our call will be between 45 to 90 minutes. I’ll painstaking review your goals, the business you want to start…and I’ll deliver a plan to help you easily launch your own multi-millon naira business.